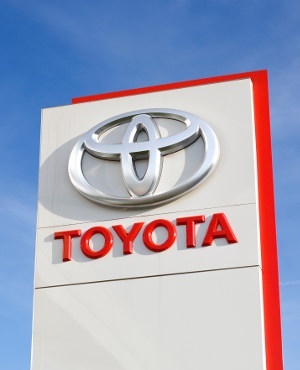 Carmaker Toyota - in an unusual move for the cut-throat car business - has decided to share with rivals an automated safety system that uses self-driving technology to keep cars from crashing. The system, known as Guardian, will take control of a car and steer it around an impending crash or accelerate out of the path of an oncoming vehicle running a red light. The technology due to hit the road early next decade has the potential to save so many lives that the automaker felt compelled to share it with any company that would like to use it, Gill Pratt, chief executive officer of the Toyota Research Institute, said Monday at CES. "We were thinking about what would be good for society," Pratt said at a press conference at the trade show formerly known as the Consumer Electronics Show, which has become a showcase for driverless cars. "We will not keep it proprietary to ourselves only. But we will offer it in some way to others, whether that’s through licensing or actual whole systems." Self-driving cars and related mobility services could become a $10trn market, according to Ford Chief Executive Officer Jim Hackett. Toyota’s seemingly selfless act could pay off in fat royalties and potentially burnish its reputation as a safety and technology leader just as those attributes become critical to the autonomous age. Toyota insists it’s about saving lives in a world where 1.3 million people die on the highway each year. "This is a super advanced driver assist system," said Ryan Eustice, senior vice president of automated driving at the Toyota Research Institute. "There’s a real opportunity to have a near-term impact on saving lives." The technology, which Toyota has been developing for three years, can take over and guide a car out of harm’s way when the human driver becomes drowsy, distracted or drunk, Pratt said. It uses many of the same sensors found in fully self-driving cars, such as cameras, radar and light-reflecting lidar, to determine the safest path to take, and corrects human errors, which regulators say is the cause of more than 90% of road deaths. "The human is still the primary driver," Eustice said. "It is working with the human and creating a bubble around you of 360-degree situational awareness." Beyond the safety benefits, the driver-assist features improve the skills of the human driver to perform more complicated maneuvers, such as taking on a twisting mountain road with sharp switchbacks. "This amplification of the human really makes the car even more fun to drive," Eustice said.